All the naysayers who were against marijuana legalization are eating crow about now. Colorado’s weed sales just keep trending up, and with the sales of legal weed, they are improving their schools and reducing overall crime rates. Not counting medicinal weed sales, Colorado sold nearly $19 million in their recreational weed market in the month of March, and $1.9 million of that goes straight into government coffers and towards building schools. 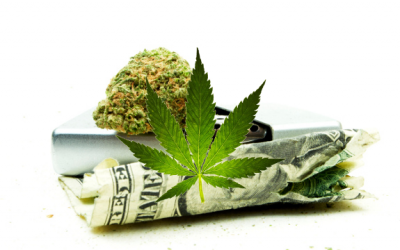 At this pace, according to PolicyMic, Colorado will make $30 million this year in pot taxes alone. What’s even more promising is that these numbers are still low estimates, as the recreational and medicinal marijuana markets (coinciding just fine, take note Washington) are likely to keep trending upward. Many say that a figure closer to $60 million in weed tax revenue is a more likely assumption. Medical marijuana is also not as heavily taxed as recreational marijuana, and hopefully it will stay that way. The cherry on top of this tax-generating cake? Crime rates are also down in Colorado, so while kids are hopefully going to get a better education, the government (idealistically) will spend more money improving infrastructure and other business opportunities for Colorado citizens, and unemployment rates are plummeting. The Colorado police can take a little rest from their duties. Crime rates in Colorado have dropped by 10.6% while Dunkin Donuts has begun expanding its brand in the state (really). It looks like a really good future for people living in Colorado, or any state that legalizes both medical and recreational marijuana – though it is admittedly too early to tell. Is it ludicrous to conclude that perhaps happy smokers of marijuana have no time for violence and expend their energy elsewhere? I think so. When people use this plant, people’s anxiety levels tend to go down. The only draw-back of legalization in Colorado? It’s snowing in May. But only Nancy Grace would attribute that to ganja and not global warming. And whether Nancy and the haters like it or not, more recreational dispensaries are coming to Denver, Boulder, and beyond. According to Weedmaps, there are currently 97 recreational dispensaries in Colorado, and that number should hit 100 in the next few weeks – likely climbing higher. And higher. And higher. I guess she also forgot to include the increase in homelessness since legalizing it. But that wouldn’t go along with the agenda, so why print that?